1. 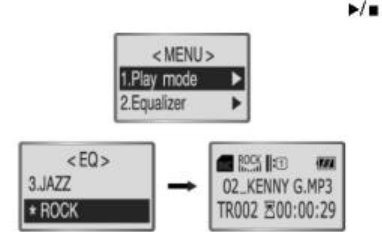 Select Equalizer from the MENU. 3. Select the mode by momentarily Pressing and Releasing the button.